"How do you make a world come alive?" 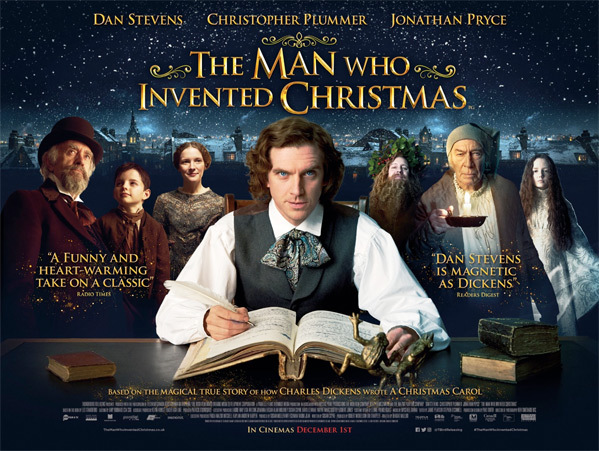 Thunderbird Releasing has launched the UK trailer for the new holiday drama titled The Man Who Invented Christmas, telling the story of Charles Dickens and the creation of the character Ebenezer Scrooge from A Christmas Carol. 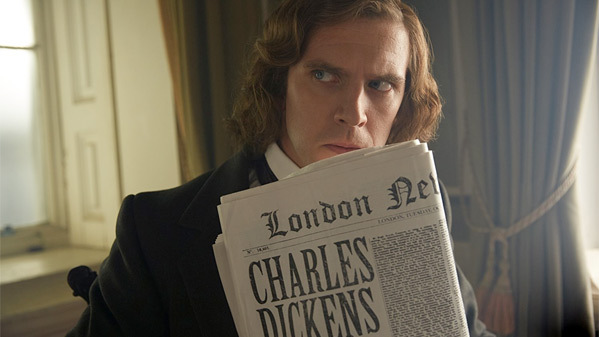 Dan Stevens stars as Dickens, and Christopher Plummer plays Scrooge, in this tale that mixes reality and imagination to tell us the story of how Dickens created this characters that would "forever change the holiday season into the celebration we know today." Also starring Jonathan Pryce, Simon Callow, Donald Sumpter, Miriam Margolyes, Ian McNeice, Bill Paterson, and Justin Edwards. We already featured the first US trailer last month, and while this looks intriguing, I'm not too sure it's going to become the next holiday classic. Watch below. You can also still watch the first US trailer for The Man Who Invented Christmas here, to see more footage. The Man Who Invented Christmas tells the magical journey that led to the creation of Ebenezer Scrooge (Christopher Plummer), Tiny Tim and other classic characters from A Christmas Carol. The film shows how Charles Dickens (Dan Stevens) mixed real life inspirations with his vivid imagination to conjure up unforgettable characters and a timeless tale, forever changing the holiday season into the celebration we know today. The Man Who Invented Christmas is directed by veteran Indian filmmaker Bharat Nalluri, director of the films Downtime, Killing Time, The Crow: Salvation, Miss Pettigrew Lives for a Day, and Spooks: The Movie previously; as well as lots of TV work. The screenplay is written by Susan Coyne, based on the book by Les Standiford. Bleecker Street Media will release Bharat Nalluri's The Man Who Invented Christmas in theaters everywhere starting November 22nd later this fall. Who's interested in seeing this?